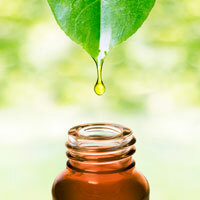 Herbsonlineshop's 100% clove bud essential oil is organic. The fragrance of clove bud is powerful, sweet-spicy, and hot, with fruity top notes. Researchers have found that the spicy aroma of clove reduces drowsiness, irritability, and headaches. Clove buds is known for its antimicrobial, antifungal, antiseptic, antiviral, aphrodisiac and stimulant properties. For use topically in a carrier oil or in a diffuser.